LITHUANIAN SOCIETY OF CYNOLOGY AND INTERNATIONAL CYNOLOGY FEDERATION. 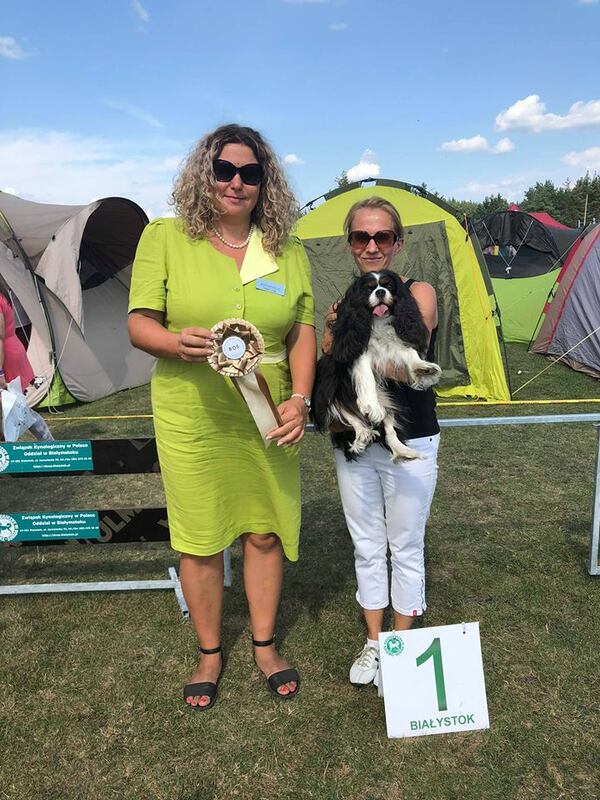 The dogs raised in the kennel meet the breed standard, are multiple-time winners of dog shows. 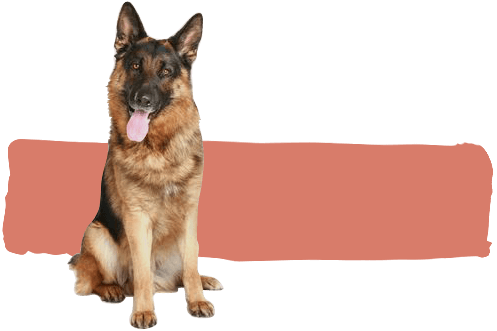 The fathers or grandfathers of all our dogs are from the best breeding kennels in Germany, Estonia and Lithuania. We are working hard to raise good-tempered and healthy dogs. If you fancy a friendly, easily trained and family-loyal dog – a German Shepherd or a Cavalier King Charles Spaniel is a perfect choice. 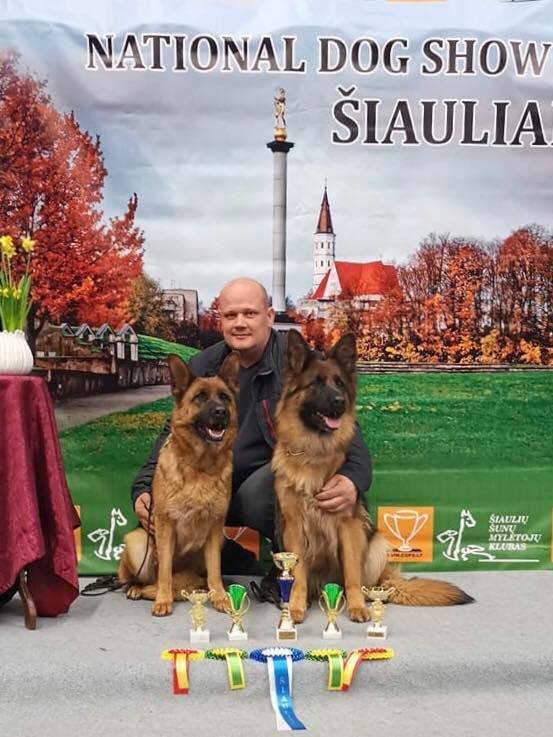 Great results from 2 Dog Shows in Siauliai! Megė (Helandros Ultra Magic) – Champion class – Ex1, CACIB, BOS.